Misunderstandings arise in international trade due to difference in cultural background of trade partners. Trust and the role it plays in trade are influenced by culture. Considering that trade always involves working on the relationship with the trade partner, understanding the behaviour of the other is of the essence. 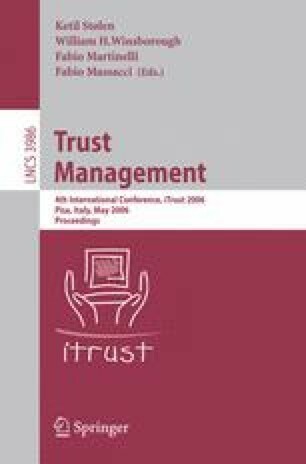 This paper proposes to involve cultural dimensions in the modelling of trust in trade situations. A case study is presented to show a conceptualisation of trust with respect to the cultural dimension of performance orientation versus cooperation orientation.